Wholly Mackerel™ is a liquid plant nutrient derived from marine fish species. It is an enzymatically digested product. Wholly Mackerel™ provides readily available amounts of organic nitrogen, phosphorus and potassium to growing plants. Our extra strength fish fertilizer contains 20 different amino acids, 13 vitamins and 8 minerals including manganese, iron, copper and zinc. 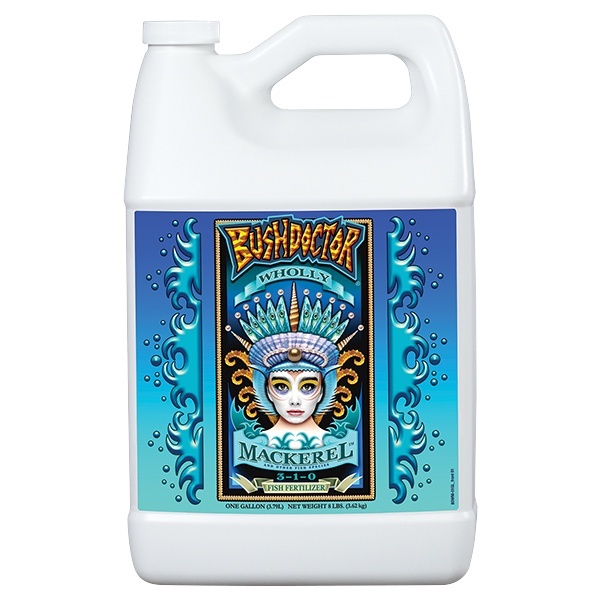 These nutrients are also available to plants when applied as a foliar spray. The proteins in Wholly Mackerel™ are pre-digested into readily usable peptides for plants and soil microbes. Use as a root drench application.